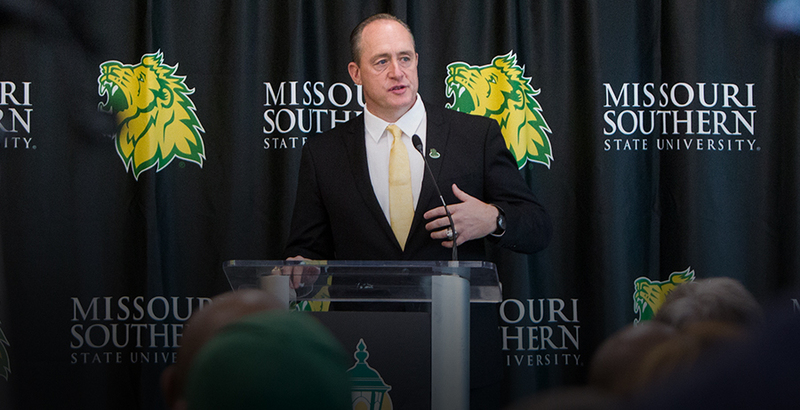 Missouri Southern Athletic Director Jared Bruggeman has named current Garden City Community College Head Coach Jeff Sims as the 13th head football coach in the program’s history. Sims comes to the Lions with more than 24 years as a high school and collegiate coach. For the past four seasons, Sims has been the head coach at Garden City where he has led the team to a 32-12 record, including the 2016 Junior College National Championship. This year, Garden City is 10-0 and ranked 2nd in the NJCAA after a win Saturday over Butler Community College. The school will now play in the 2018 National Championship Game against East Mississippi Community College on November 29 at Carnie Smith Stadium in Pittsburg, Kan. In his career, Sims has coached 49 players to NFL careers, including two first-round NFL Draft picks, (Jason Pierre-Paul and Mike Hughes), as well as NFL All-Pro Lavonte Davis. In total, seven players he coached have been drafted. Two former players, Pierre-Paul and Jacquian Williams, both played for the New York Giants in a Super Bowl victory. Sims also served as the head coach at Fort Scott Community College where he had a 32-12 record and an appearance in the 2009 National Championship. He landed his first head coaching experience at Mesabi Range where he had a 13-7 record, including a 10-1 record in 2003. In his career as a junior college head coach, Sims is 77-31, has led four teams to undefeated regular seasons, and boasts three National Championship appearances. He is the winningest active coach in the Kansas Junior College Conference. His teams have held the No. 1 National Ranking six times in ten years and were named the 2016 National Coach of the Year while earning two KJCC Coach of the Year honors. Garden City is the No. 1 ranked team in the current Massey Rankings. Sims has also served as the Senior director of recruiting at Indiana and Associate Head coach at Florida Atlantic University. Sims and his wife Lecia have three children: Dylan (17), Jake (16), Samantha (14). Sims holds an associates degree and bachelor’s degree from Baker University. Sims will officially start at Missouri Southern once his commitment at Garden City is complete.